Highway 23 within the Santa Monica Mountains is not what you think of in terms of a typical highway. We tend to think of them as high speed accessways for cars, but this road doesn’t quite fit that mold. 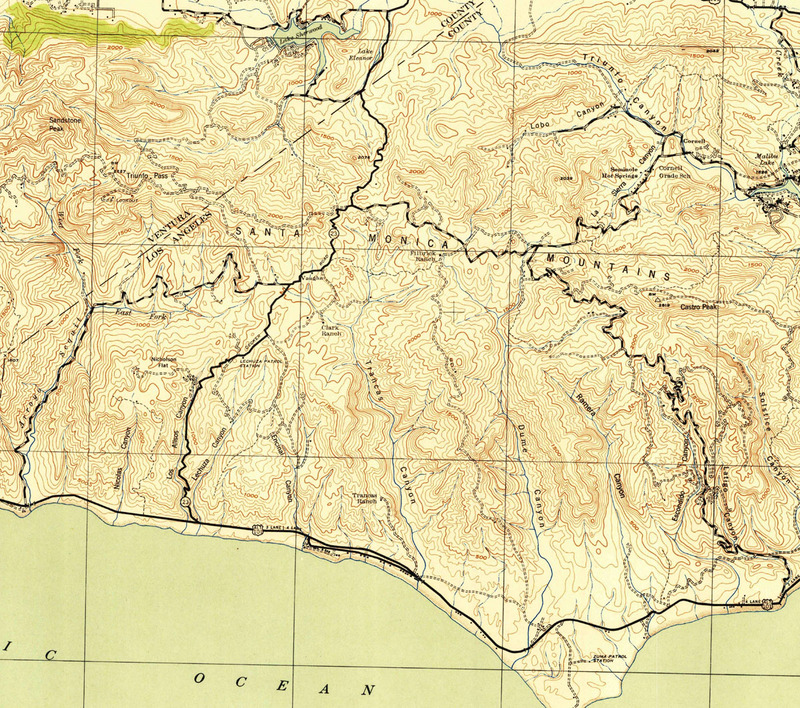 As one of the earlier passages across the mountains to the beach, Highway 23 predates other local favorites like Encinal Canyon and Kanan. In fact, while the roads we know as Mulholland and Latigo were around in 1943, they were dirt (dashed lines) while Highway 23 was paved. Still, this road serves the people and in pretty good shape too after all the years, but because of it’s early construction, it can be a bit more challenging for the cyclist crowd. Modern standards for highways require them to be wider, straighter and not as steep as Highway 23 gets. Climbing it will require you to get out of the saddle at times, but should be manageable for the intermediate cyclist. I go back and forth whether the Westlake Blvd. (north) or Decker Canyon (south) descent is the worst. Blind corners and sharp turns are your biggest foes as over-confidence can be the end of you. I’d say the numbers don’t lie, but I’ve known a lot of people to crash on both sides so what can I say? Coming down from Mulholland Highway, the start is fun and rolly. The problem is you can find yourself in too much of a comfort zone and really make you bite more than you can chew. When the Tour of California came through here in 2014, I was pretty amazed there were no wipeouts, although they had use of both sides of the roads for all three laps. For me, it gets scary right before it straightens as there’s times I feel like I’m going to launch myself like skiing Super G.
This road is a lot more fun when it flattens out at the bottom. Naturally, there is a lot more vert on this side since the climb starts closer to sea level. While on a map view, the turns look consistent, the one thing to look out for is the variations in banking. 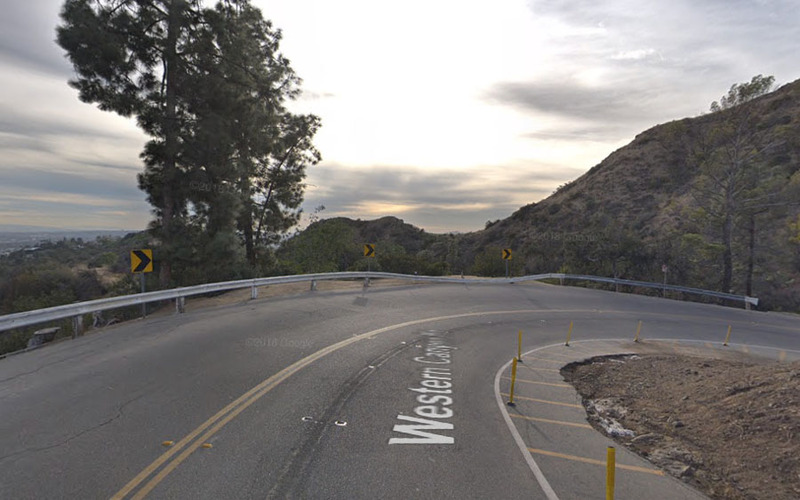 The best example I can point to closer to home is that one curve in Griffith Park on Western Canyon. Visually, it doesn’t look that tough, although the bent guardrail should give you a clue how dangerous it is for drivers. Your confidence builds weaving through the turns that by the time you get here, you feel comfortable. The problem isn’t just that the curve is slightly sharper, but it deceptively banks away from you. That happens a few times on Decker which makes it scary. What makes this also scary is that there’s a couple of points where you’re on the edge of catching air as you descend at 40 mph+. All I know is that my ears are ringing by the time I get to the bottom. You’re welcome to add your opinions to the comments below, but I’m going to say Decker seems like the scarier of the two. Some of the high speed undulations can put you in a weightless state, something I’m not used to handling on my road bike. Of course, I always go back and forth on this because Decker is about 50% longer which spreads out the scariness a bit. The only thing I know is that to experience both, you’ve got to get your climb on before you’re rewarded.